ES: Emotional Spark—honoring these important internal sensations that are more intense during adolescence but serve to create meaning and vitality throughout our lives. SE: Social Engagement—the important connections we have with others that support our journeys through life with meaningful, mutually rewarding relationships. N: Novelty—how we seek out and create new experiences that engage us fully, stimulating our senses, emotions, thinking, and bodies in new and challenging ways. Presidio Knolls School embraced our first children and families in 2008, launched our elementary school program with visionary Pioneer families in 2012, and will make history again by welcoming our first middle school students in 2018. We believe middle school is a unique and critical time of development for students to explore and develop a strong positive sense of self through meaningful relationships and real-world connections. Our graduates will be lifelong learners with the mindset and skillset to make an impact on the world. As we build an inquiry-based immersion learning experience, we are committed to a thoughtful two-year design process of a world-class program for young adolescents to discover their voice, passions and confidence. The Middle School Planning Committee, launched late spring of 2016, is leading this project with a deep belief in and connection to our identity as a progressive Mandarin immersion school. Comprised of three different constituent groups at PKS (staff, parents and board), the team represents a range of expertise in elementary school, middle school, high school, post-secondary education, global citizenship, communications, launch and growth phases, and strategic planning. The first P is Pathway – we are designing a program that first and foremost aligns with PKS’s mission, vision and goals. We are mindful of the continuum of learning, and seek to bridge not only the elementary to middle school transition, but also middle school to high school and beyond. The second P is People – we are designing a program that understands young adolescents learn best through meaningful relationships. During these early adolescent years, the most important relationships are with peers and positive adult role models. With this in mind, the program will provide opportunities to forge new relationships, deepen old ones, and learn from each other through peer learning connections, exceptional teachers, adult community mentorships, and a community advisory. The third P is Partnerships – we are designing a program that understands young adolescents need real-world learning experiences and contexts. This means a classroom without walls – that our students are learning and making meaningful connections with people and ideas in multiple community contexts (PKS, local, global) and sharing their ideas in authentic ways. We want our students to develop real solutions for real problems of real people with real consequences. So the program will provide opportunities such as peer-school relationships, overseas travel and service learning. 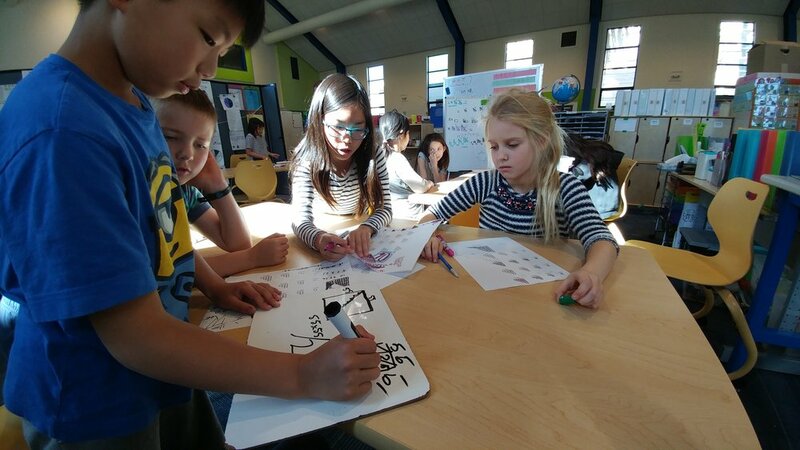 The final P is Program – we are designing a progressive Mandarin immersion program that embraces the student at the center as a creative, curious, resilient, expressive, and open individual. The middle school program will meet the social, emotional, personal, academic, and physical needs of all students with a developmentally-appropriate, challenging and interdisciplinary approach to learning about and engaging with themselves and the world. By the end of this year, the committee will have established a strong foundation for a new middle school program at our growing school. We will have created a robust set of research findings and team recommendations addressing the four design principles. We will also have hired our first middle school staff – our Founding Head of Middle School – to join our community in the summer of 2017. The founding leader will then have the opportunity to spend an entire year prior to the middle school program launch with our first cohort of sixth graders in fall of 2018. We look forward to meeting prospective students and families and sharing our exciting progress in the coming months!